Not so with Professor Aaron Hughes’s latest commentary on the, for him, sad state of Judaic Studies, my own subfield in the academic study of religion. Hughes, Ph.D. Indiana University and Philip S. Bernstein Professor of Jewish Studies at the University of Rochester, wrote a piece “Jewish Studies Is Too Jewish” in The Chronicle Review of The Chronicle of Higher Education on March 24, 2014, and which, in many ways, was an all-too-brief summary of his recent book The Study of Judaism: Authenticity, Identity, Scholarship (Albany: Suny Press, 2013; 1672 pages). Both the book and article have evoked fascinating responses from, among others, Michael Satlow (Brown University), and Zachary Braiterman (Syracuse University). More on this in a bit. Hughes argues that, while apparently applauding the rise of Jewish/Judaic Studies in the 1960s and 1970s—along with other so-called “ethnic studies” programs (women’s studies, Irish studies, and the like—Judaic scholarship has somewhat presently taken a back seat to confessional interests framed by the increasing intrusion of Jewish foundations into the work of the academy, and scholars of Judaism are all-too-often beholding to those very same foundations which enable and support their research, albeit with overtly acknowledged missions. His primary examples are two: (1) the Schusterman Family Foundation, which is decidedly pro-Israel and sponsors the Brandies University Summer Institute for Israel Studies, and (2) the Felix Posen Foundation which is decidedly secularist in its orientation, and both of which have ever-increasing deeper pockets and recruit Jewish/Judaic Studies faculty with such financial enticements as research grants, workshops, conferences, and publications. Hughes’ solution appears to be divesting Jewish/Judaic Studies and it faculty-researchers from any such entanglements—including serving as Jewish role models for Jewish students and/or becoming advocates for the State of Israel and its governmental and military policies (in the world of increasing anti-Israelism, anti-Zionism, and antisemitism on many US college campuses). In the interests of full disclosure, I note two points before proceeding: (1) in the summer of 2006, I participated in the Brandeis Summer Institute for Israel Studies as a “Brandeis Fellow”, the only requirement for which was a willingness to teach a course on Israel, which I already do though somewhat more expansive (REL 372: “Religions, Politics, and Cultures of the Middle East”). Though the positivity of the sponsors/funders (i.e. the Schusterman Foundation) and the Brandies faculty who participated were transparent in their positivity towards Israel and the complexities of the Middle East, they were equally welcoming of tough questions, tougher dialogue and made it a point to include visits to the West Bank and unfettered Palestinian meetings with those who viewed the State of Israel and its occupation of their homes and land as immoral. They also included site visits to Orthodox Jewish settlements whose views on their own legitimacy were decidedly at serious odds with my entire cohort of approximately 30 colleagues. Secondly, the issue of Jewish identity of those who teach Jewish/Judaic Studies at the university level –the tension between objective, academic work (i.e. 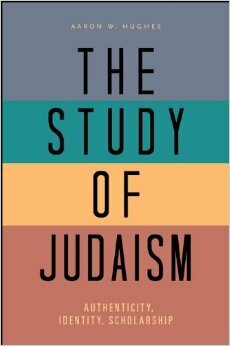 putting Jews and Judaism under the lens of the intellectual microscope as it were) and the personal involvement or not of those who invest themselves in this topic—is not a new issue, though Hughes frames it in more current language. I note that, in response to Aronov Lecturer Professor Martin Jaffee of the University of Washington to our campus in 2002 (His talk was entitled “Personal Self-Disclosure, Religious Studies Pedagogy, and the Skeptical Mission of the Public University”), departmentally, we responded in print in the Bulletin of The Council of Societies for the Study of Religion, 33 (2): April, 2004. My own contribution was entitled “Jewish Scholar vs. Scholar of Judaism: Problems, Pitfalls, and Possibilities”, and which raised questions somewhat similar to those raised by Hughes. Within our sub-world, it is an ongoing and unresolved conversation. To return to the matter at hand, however. Hughes’ first concern, the slide into confessionalism and the diminishing of solid scholarship, is shared by those genuinely and persuasively critical of the entire discipline of religious studies, even while recognizing its academic origins, and including the Chair of our own department here at The University of Alabama. However, regarding the reality of Jewish/Judaic Studies, the appropriate response is both “Yes!” and “No!” There are those faculty, primarily in locations surrounded by larger Jewish communities and who are themselves integrated into those same Jewish communities, who do tend to teach, write, lecture, and publish work which, quite easily, might be viewed as defending traditional norms and tropes, and, by extension, the religion of Judaism, the Jewish people, and the State of Israel. However, to paint with the brush the entire project of Jewish/Judaic Studies as of one mind or one mindset is inaccurate, to say the very least. (And Hughes himself acknowledges this as well, noting that the production of solid, critical objective scholarship continues at a relatively fast pace.) The failure, however, again Hughes and others, has been the failure of those teach in this field to convincingly argue that it is validly and legitimately part of the academic mission and consistent with any other discipline and object of study. To address Hughes’s second concern, that of outside intrusion by well-heeled Jewish organizations, that concern is equally shared by Zachery Braiterman in an article Hughes himself cites and addressing a third moneyed Jewish organization (“Conservative Money and Jewish Studies: Investigating the Tikvah Fund, Zeek, 2011) and which itself generated its own critique. Responding to Hughes’ piece in The Chronicle Review (“Letters and Comments”, May 9, 2014, B19), he chides Hughes for “blaming the victim” regarding the “marginalization” (his term) of Jewish Studies within the academy and for Hughes’ seeming failure to recognize that it will always be so. That there is a legitimate place for this work in the academy is now a given, most especially in the aftermath of the Second World War. But to argue that it will be anything more than at the periphery of other concerns and agendas in higher education bespeaks a naiveté that is simply too simplistic. Having written such, those of us who do this work are obligated to the best scholarly production of which we are intellectually capable, and, perhaps somewhat idealistically, unrealistically and naively as well, unfettered by larger Jewish communal concerns. Michael Satlow’s concerns as expressed in his review of Hughes’ book applaud Hughes for beginning this conversation, but, textually, argues that “Hughes has not fully convinced me that things are as bad as he claims”. Or me either. I tend to agree with him if my now almost fifteen-year experience back at The University of Alabama is any indication. The courses that I teach continue to attract students, both undergraduate and graduate, and those who manifest a continuing fascination with all things Jewish. The bottom line: Judaic Studies is alive, well, and healthy at ‘Bama! This entry was posted in Faculty Blog, Relevance of Humanities, Religion in Culture and tagged Aaron Hughes, higher education, Jewish Studies, The Chronicle of Higher Education by Steven Jacobs. Bookmark the permalink.